A year and a half ago, there was a short article on the Razed in Milwaukee blog about the Oswald Jaeger Bakery buildings which still exist hidden away on 9th & Somers. Megan Daniels gives a great history of the bakery and buildings on the blog. 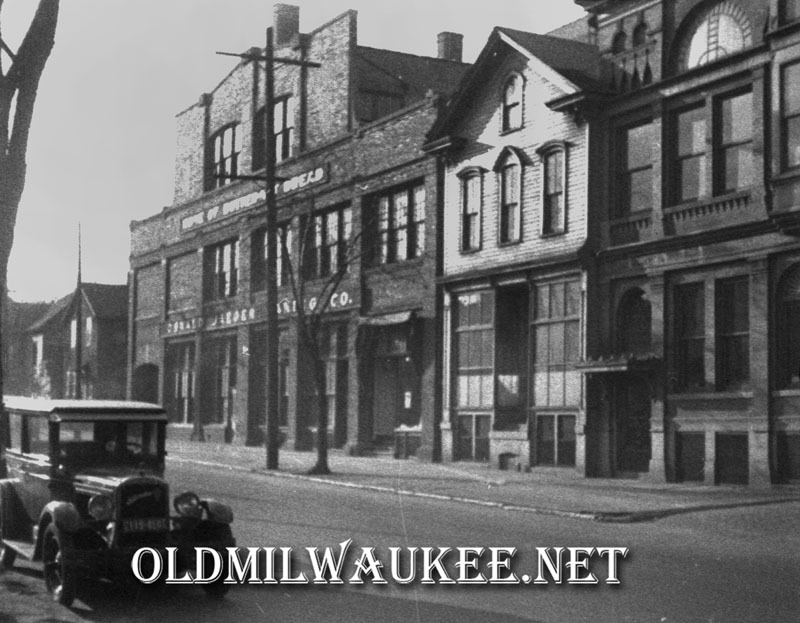 The following picture from the OldMilwaukee.net collection shows a view of the bakery from the late 1920s. Interestingly, the same buildings are shown in the modern view, albeit not completely whitewashed. 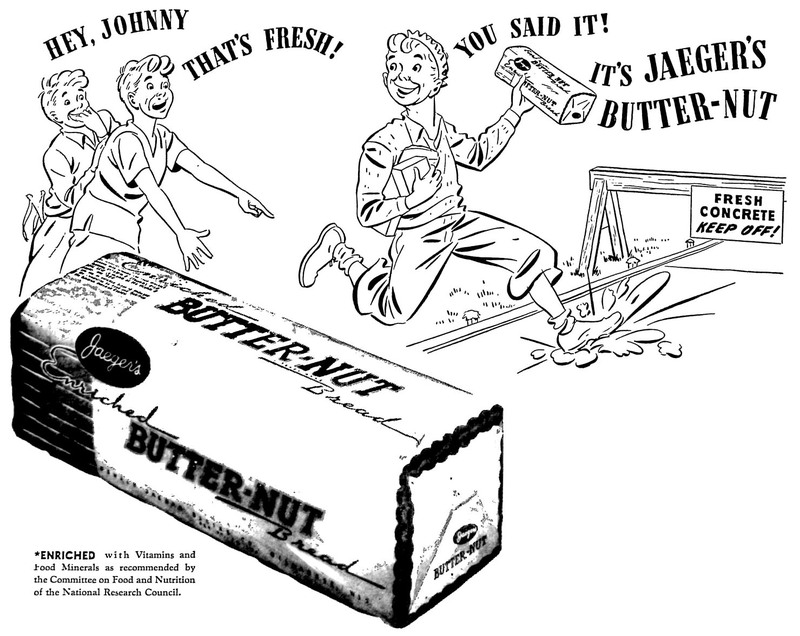 The German papers have a couple of different version of advertizing for Jaeger Bakery products.